The spring-like weather we’ve been having today (and the rest of the weekend/into next week!) reminded me of a card I made for one of my niece’s birthdays. 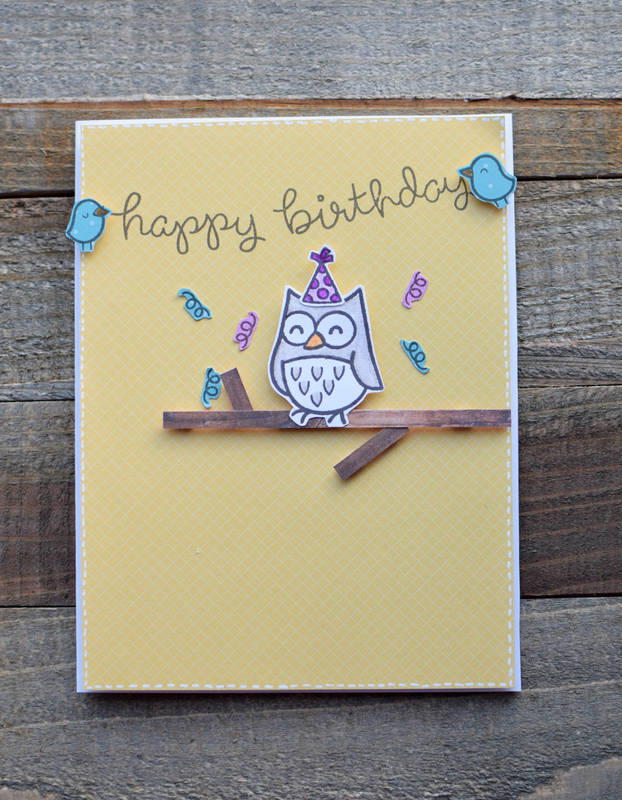 This darling card uses some of my favorite Lawn Fawn stamp sets and has very spring-like colors, perfect for her spring birthday! (Owl from Critters in the Forest, birds from Chit Chat, and sentiment, hat, and swirls from Party Animal). Doesn’t it make you think spring?! This entry was posted in Cards/Scrapbooking on February 17, 2017 by Megan.